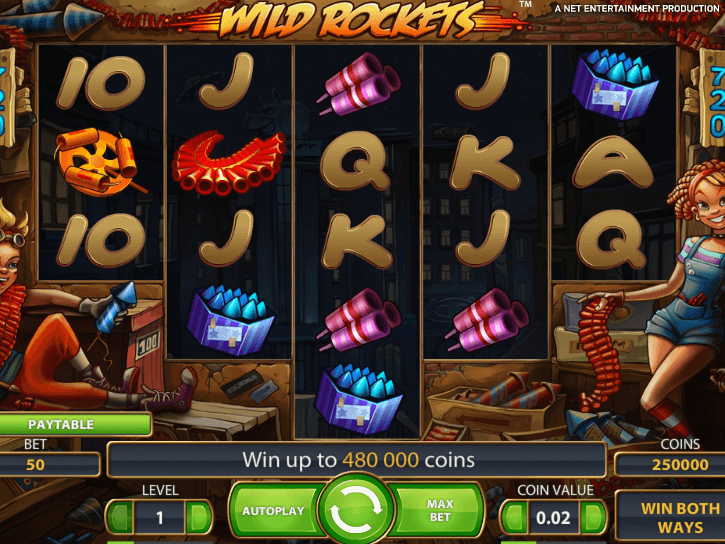 Wild Rockets is one of the popular productions of Net Entertainment, loaded with free spins, great sound and neat graphics. 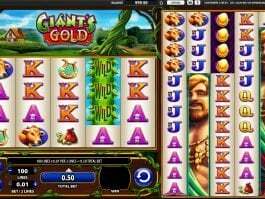 This online slot is little different from the other standard machines. 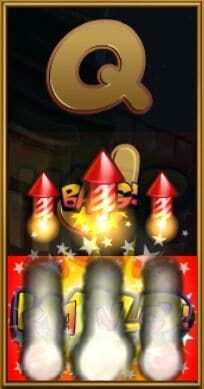 Themed on fireworks, Wild Rockets has impressive backdrop and nice graphics. When played the rocket wilds will light up the computer screen. Offering ample winning chances, the players can witness an incredible firework display. 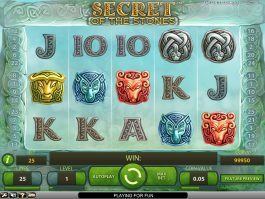 The wild symbols are the ones that make this online slot livelier. 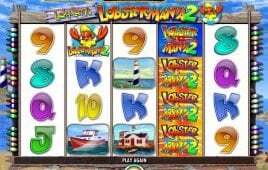 The developer has tried to give interesting twist in the free online slot machines to make it stand distinguished in the crowd of so many machines. This is why the slot has been designed to offer 720 ways to win! Moreover, the honeycomb structure gives the game a unique pay line system. Wild Rockets is unlike the regular 25 payline offering. Although, it has 5 reels, they are displayed in an inverted triangle. Where reel one and five consists of 3 icons and 2 and 4 features 4 icons, the centre reel comes with five icons. 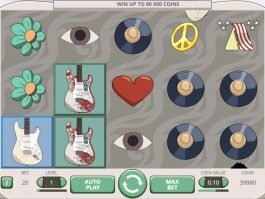 The significant feature in this game is that the award wins depend on the symbols appearing on the reels and not on the paylines. However, the 720 bets logo refers to the ways to win. The players will therefore have to land at least three matching icons on the reels in order to win rewards. Prior to shooting the rockets, the players will require deciding their wager. Well, the bet level can be adjusted with the Level selector along with the coin size that ranges from 0.01 to 0.5. ‘Max Bet’ works to spin the reels at the greatest bet level, while the ‘Autoplay’ plays the slot multiple times without any interruption. The wild symbol comes with an extra feature that is quite funky. This includes the rockets displayed on the wild symbols, which point up or down and when the icons lands the rockets fire in the pointed direction. In case they travel to other icons then those icons will become wild. Scatter symbols, represented by the box of rockets will appear on any reel. 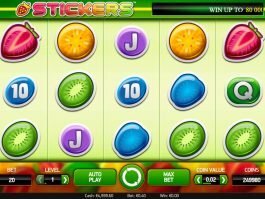 Drawing any 3 of them will get the players 10 free spins, whereas four scatters will give them 20 spins and 5 will earn them 50 spins.